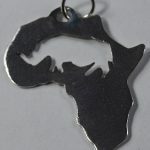 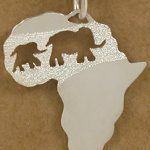 Sterling silver shiny medium heart shaped pendant with an Africa cutout. 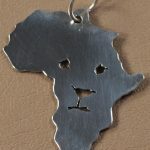 Hand made, each one a unique original. 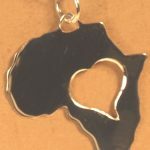 Is your heart in Africa regardless of where you travel or settle nowadays? 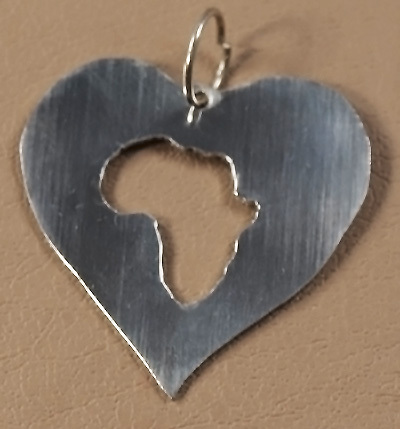 Just want to say that in a lovely simply heart pendant?.